The Bold and the Beautiful spoilers tease that Ridge’s (Thorsten Kaye) role as the family egotist will be assumed by Thorne (Ingo Rademacher). Long known as too bold for his britches, Ridge is in the process of softening his stance. Meanwhile, Thorne is purposely creating trouble since returning from Paris. The fourth actor to play Thorne has been provided scripts that write this character in a different direction. Far more confident than in past iterations, Rademacher has obviously been cast as a loudmouth character. Who is Thorne to say who Ridge is and who Ridge isn’t? Little brother has already upset Eric (John McCook); directly asserting that his pick to run Forrester Creations is wrong and then trying to reopen the Quidge scab that formed. Meanwhile, Ridge has been honest about himself. He’s acknowledged his mistakes, asked for forgiveness, continues to handle FC with dexterity and just honestly earned another shot at love with Brooke (Katherine Kelly Lang). Ridge is right, Thorne is jealous of him. A seemingly settled issue might always remain simmering. There’s no doubt that Thorne benefited from being away from Los Angeles. No one, including Ridge begrudged the healing time that was needed after Aly (Ashlyn Pearce) was killed by Steffy (Jacqueline MacInnes Wood) in self-defense. Though this last point bears repeating. Ridge’s offspring took Thorne’s child away from him. 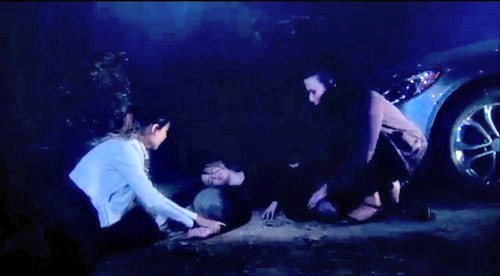 B&B fans haven’t and won’t forget what happened. 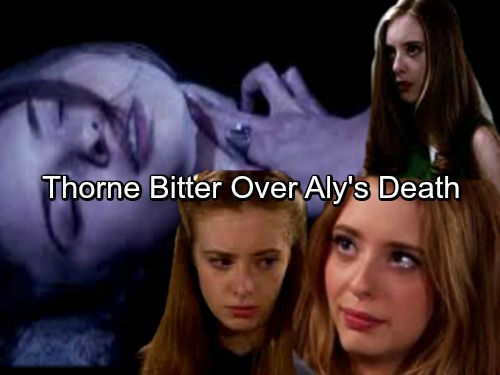 Did Thorne’s grief transfer to brother-blame? Thorne’s purposeful raising of Ridge’s paternity represents a brazen attempt to reignite an issue that was litigated within the family ages ago. Yes, Ridge has Marone blood, but Eric decided that Stephanie’s (Susan Flannery) son would also be his own. The shoving match at Brooke’s gorgeous mansion represented what appears to be Thorne’s new tactic. Mix it up with big brother and then attempt to mingle with Lang’s character. Yes, it’s true that Thorne and Brooke were once married. But that was awhile ago and her personal tie to Ridge is obviously deeper and they share a son. On the business side, Thorne believes in his mind that his emergent interest in designing qualifies him to be fast-tracked to a top spot within the family business. Why didn’t he establish his own shop in Paris and sell some sketches? No, Thorne wants his dad to pat him on the head and shove Ridge out of the way. B&B devotees could assume that Bridge’s remarriage plans will happen and Eric will keep Ridge in place as the co-CEO of the family business. What will Thorne do longterm if both points play out as predicted, become a peacemaker? Hardly.